I interviewed Eng. 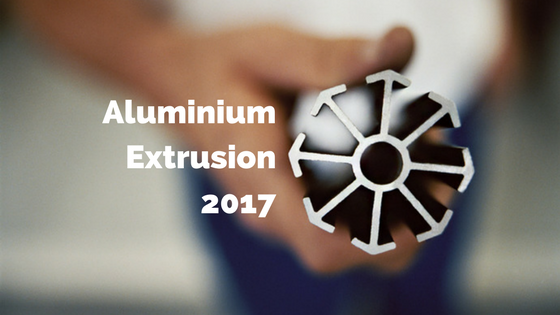 Tommaso Pinter, Alumat Almax Gorup Chief Commercial Officer, to know his perceptions about the future of aluminium extrusion in Europe throughout 2017. “In the following 10 months Europe will probably face 5 extrusion presses complete revamping and 10 new lines installation”, he says, sharing data from the most known industry magazines. “Most likely the same will happen in 2018, and similar investments are in program also in North America and Gulf Countries”. Process efficiency is more an more mandatory (i.e. extrusion companies are investing in energy savings and scrap reduction as never done before). As you can read in the article “Outlook 2017: How end- user will drive aluminium market in 2017” (here) “[…] The automotive, aerospace, construction, electrical and packaging sectors emerged as the largest aluminium end users in 2016. These sectors will continue to drive aluminium consumption in the foreseeable future as well as in 2017“. “So how is Alumat-Almax group responding to this trends? How all this is going to influence the way we make aluminium extrusion dies and tools?”, I’m asking him. We’re therefore inviting our readers to drop us a line in the comments below, and let us know: what’s YOUR perception of the market for 2017? What’s the extrusion horizon that is unfolding in front of us? If you can, tell us also the country you’re coming from, so we can map how different areas of the planet are feeling the future of aluminium extrusion across the world. Outlook 2017: How end- user will drive aluminium market in 2017: Article | Presentation. Connect with Tommaso Pinter on Linkedin. Follow Alumat Almax Group on Facebook.